Interactive cards are all the rage these days — from pop-ups to sliders to shaker cards — we love giving (and receiving!) fun and creative cards. Today we want to show you another great interactive product from My Favorite Things - the Slider Channel Builder Die-namics! Today's video will give you some insight into how to use this inventive Die-namics set. 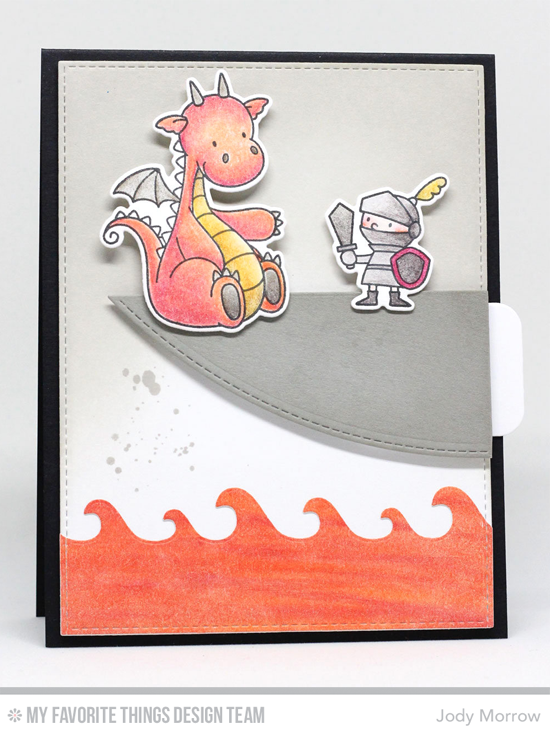 Stephanie gives you a step-by-step process for how to build a channel for an element of surprise in your card designs. Watch the video below or click here (MFT August Release Class - Slider Channel Builder) to watch it on YouTube. Don't forget to subscribe to our YouTube channel so that you don't miss a single tutorial! This is one of the four FREE August Release Class tutorials. You can see the other videos HERE for more inspiration! Let's take a look at two more examples using the Slider Channel Builder Die-namics. 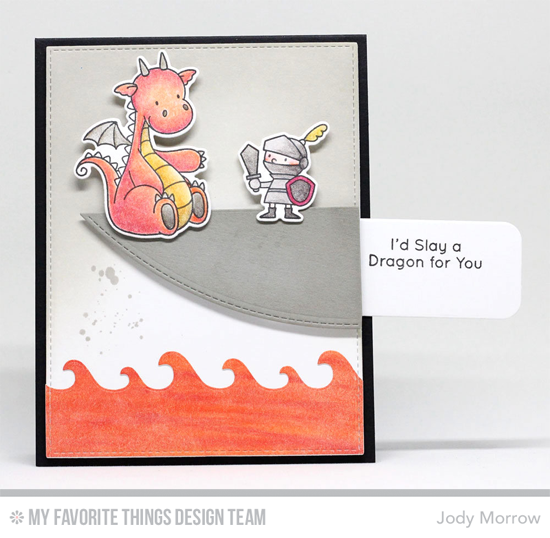 A brave knight and adorable dragon steal the show on Jody's cute card. Looks like some menacing fire below! See the tab to the right? That's the slide out indicator. Pull the tab out, and the hidden message is revealed! 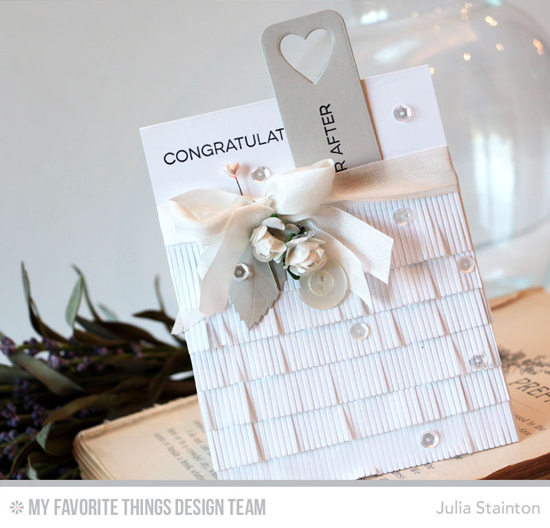 But don't limit yourself to cutie pie cards when using the Slider Channel Builder Die-namics. 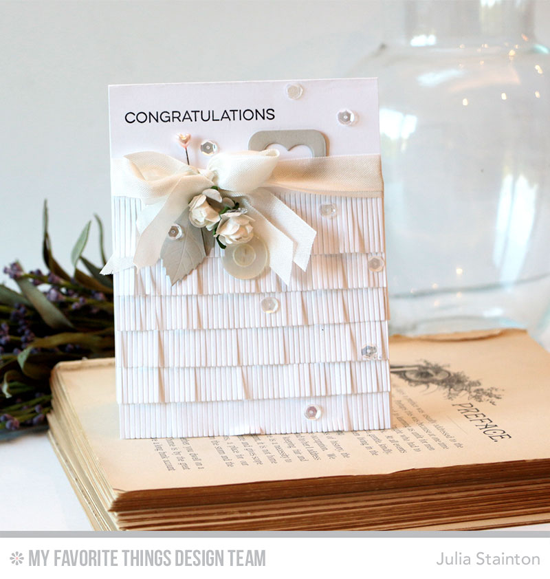 Julia proves that a frothy wedding card can be made even more special with the element of surprise! Here is a look at the tab pulled out. So pretty! You will LOVE creating interactive cards with the Slider Channel Builder Die-namics. Be sure to tag #mftstamps when you post your projects online. We can't wait to see what you've made! I was wondering how the slider channel worked. Thanks for the video.